This post is created in partnership with LulaaBED. As always, all opinions are my own. A good laugh and good sleep, I truly believe these are best medicines for a healthy lifestyle. And also to keep those dark circles at bay! I have noticed that on days when I get a good sleep ( doesn’t have to be a long one, but a quality one ) – I am less productive. On that note, I truly believe that our bed should feel like a sanctuary, a place where you feel like checking out at the end of a busy day and feel revived for the next one. Amidst busy lives, families, and a hectic work schedule, a restful sleep is a must. Amit and I had been talking about upgrading our mattress because the one that we had in our bedroom was an old one from our rental days and had seen better days. A couple of months ago, LulaaBED ( available at Sam’s Club ) reached out to try out their mattress and adjustable base, I jumped at the chance. The timing was just perfect. Let me tell you about the bed we chose and how it has been working for us. Amit sleeps on his back and I am a back as well as side sleeper. 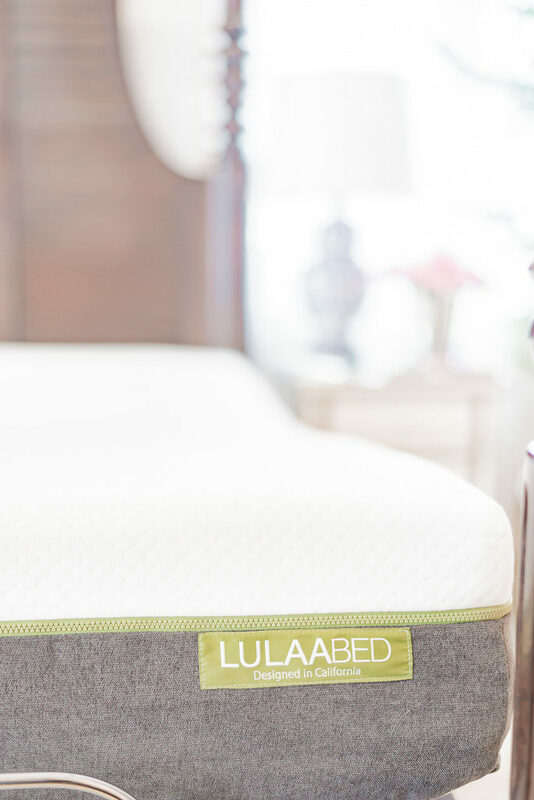 The LulaaBED medium firmness breathable mattress is supposedly ideal for back, side and stomach sleepers. The mattress features a memory foam which was our first time sleeping on one. If you haven’t slept on a memory foam mattress before, it can feel slightly weird the first day. Basically, the foam contours to your body shape so it in a way creates a custom experience for every person. The first three days felt different sleeping on our new mattress but once you get used to it, it starts working for you. 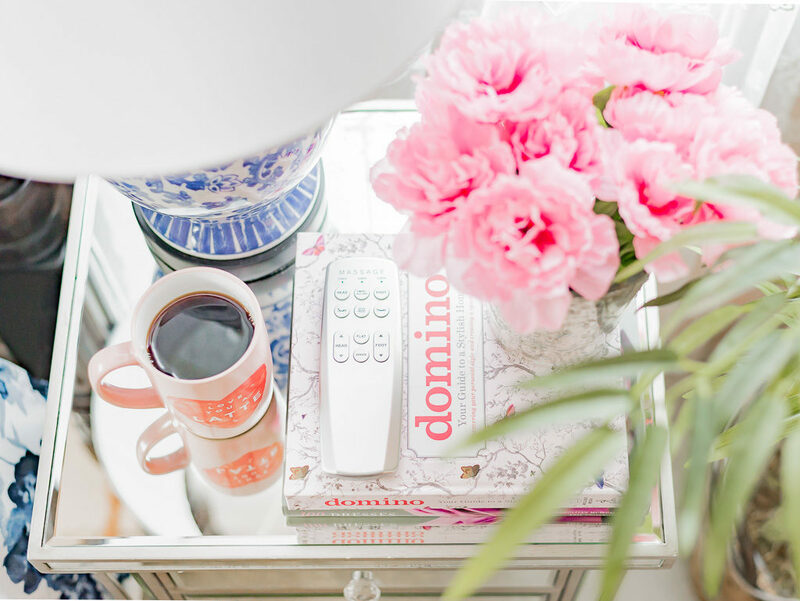 My favorite feature is the adjustable head – so perfect for reading or working on the laptop at night. For Amit, it is the adjustable base that he finds the best feature as it helps customize the sleeping position. Our favorite feature as a family – well it has got to be the vibrations. 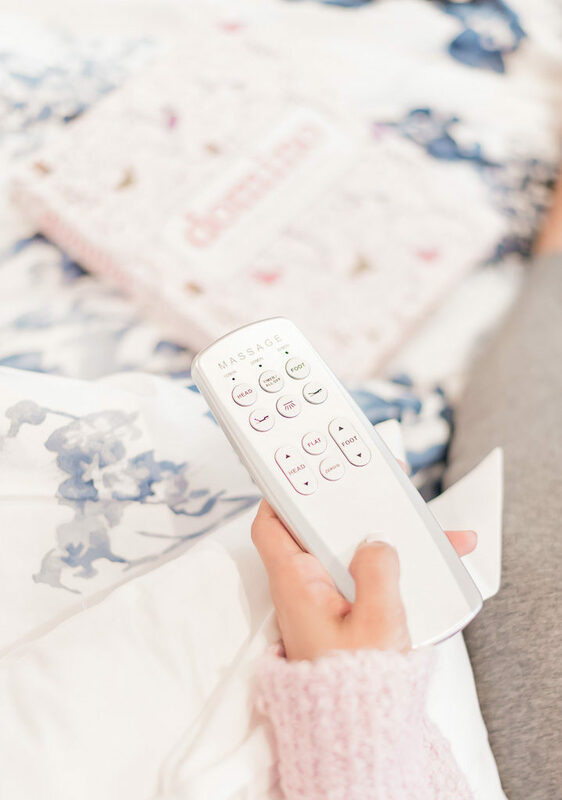 We turn it on for a few minutes at night while winding down – it is just the right amount of soothing effect. Zoe loves them too when she is in the bed with us – for one, babies love vibrations and she finds them rather funny – starts giggling when she’s on the bed and it begins the vibrations. huh! 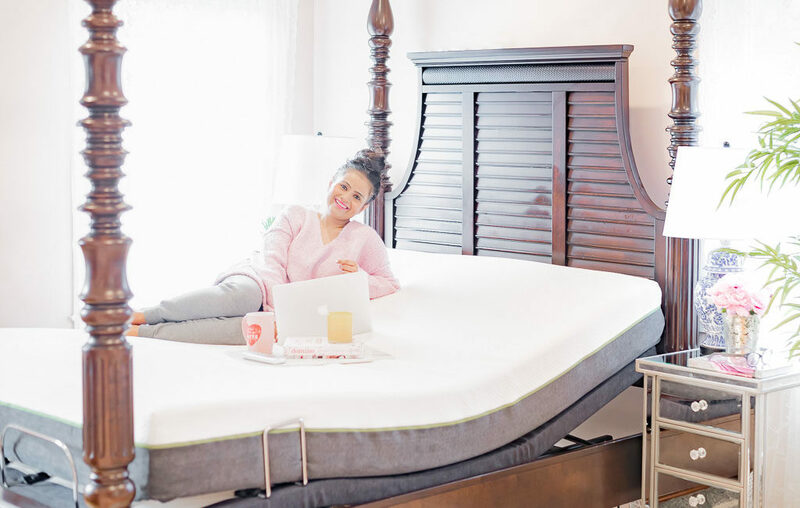 The machine washable mattress cover is another feature that I cannot not mention. I am obsessed with hygiene and this feature gets a big thumbs-up from me. We had the mattress delivered via the white glove service. It couldn’t have been more efficient. I literally had to do nothing. They asked me which room the mattress was going, they moved out the old mattress to another room and had everything setup in less than an hour. 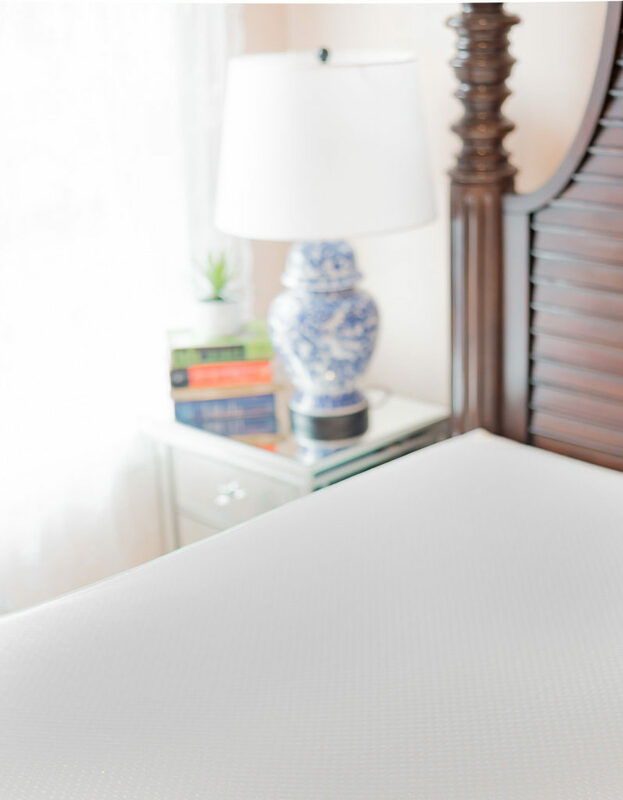 With the smart foam mattress, the adjustable base allowing for neutral spine positioning – I can attest that our sleep quality has definitely improved. 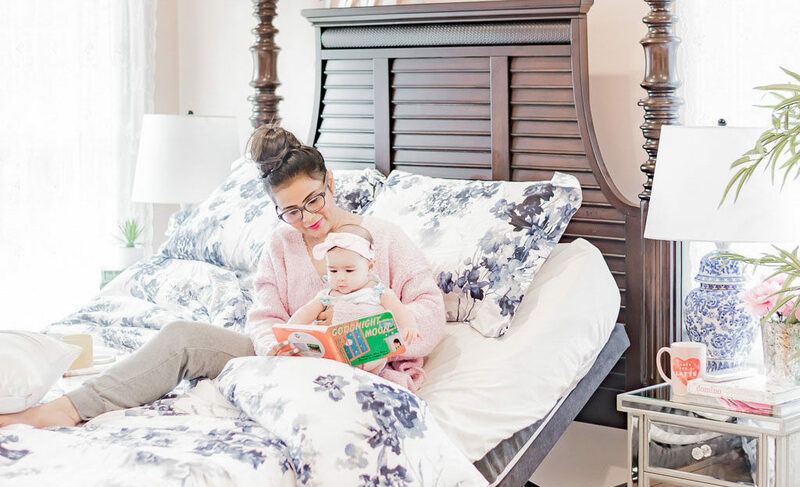 Everyone can agree here that a well-rested mom, is a good mom =)) Clearly the people making this mattress know what they are doing. Getting a new mattress is always the best! Oh yeah! we were long overdue for one. I know now what a difference it makes. so exciting to get a new mattress! super cute bedroom! Good sleep makes such a difference. Sounds like a great mattress! Yes, we are loving it. My husband loves massages – he can get them like all the time. so the vibrations are like a good everyday thing that he enjoys. This is amazing! I’m a big fan of memory foam as well. Also, your little angel is sooo cute! This mattress looks amazing and so comfy! 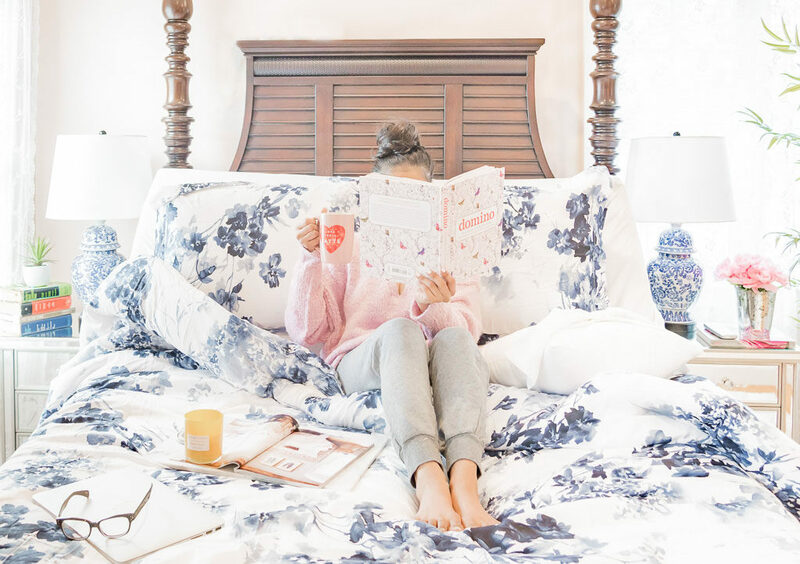 Girl we are in desperate need of a new bed and this one looks like an absolute dream!Thank you for sharing your experience! Amazing photos, Neha! I totally agree with you. A good laugh and good sleep. Thanks for sharing this brand! I need to check them out! You and your daughter are the cutest!